Summer Paris of Paris Creative Agency. Paris Creative Agency specializes in several areas of marketing including advertising, public relations, digital advertising and social media. The agency was founded by Summer Paris four years ago and officially launched in the spring of 2018. Her background is in both agency and corporate marketing. She has worked with dozens of clients in a variety of fields including healthcare, professional services, legal, real estate, retail, food, government, insurance, non-profit, technology and financial services. She was also part of the team that worked on the Jackson Chamber branding campaign. “The modern consumer cannot be influenced the same way they were five years ago. Digital advertising is an extremely important part of any strategic plan,” said Paris. The digital side of Paris Creative specializes in building niche markets online, direct response marketing, programmatic advertising, social media targeting, the google display network, pay-per click advertising from Google/Bing/Yahoo, online pre-roll video ads, websites and SEO. “I believe that it is important to still include traditional advertising like direct mail, outdoor billboards, radio, tv, print, etc. in a marketing plan when appropriate” said Paris. 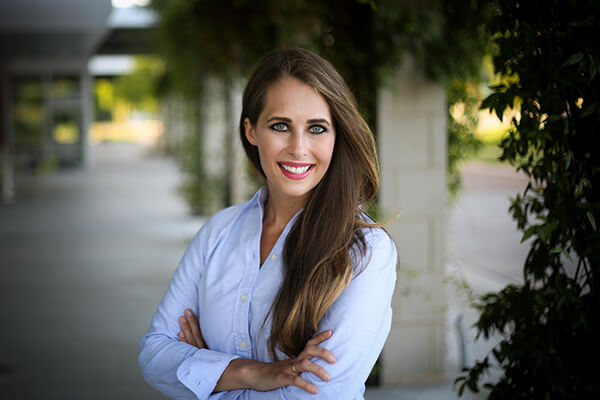 She was selected as one of Jackson’s Finest Young Professionals by the Cystic Fibrosis Foundation in 2013 and for The Jackson Sun’s 40 Under 40 in 2014. Paris has been involved with raising money for local non-profits like CASA, WRAP, Imagination Library, RIFA, The Dream Center, Youth Town, Care Center and Hands Up through the Jackson Service League. She also coordinated publicity for the March of Dimes’ March for Babies and Breakfast for Babies for several years. In additional to working with the local March of Dimes chapter, she served on the communications committee for the State of Tennessee. Paris has also served as a communications committee co-chair for the West Tennessee American Cancer Society. For the past four years, she has coordinated the donation of more than 300 coats to kids in need through Carl’s Coats for Kids benefitting the Carl Perkin’s Center for the Prevention of Child Abuse. This project was developed, organized, coordinated across 17 stores and executed by Paris. She grew up in Bells, Tennessee and graduated from the University of Tennessee at Knoxville with a bachelor of science in Communication with a focus on public relations. She was vice president of Kappa Kappa Gamma sorority and later became the founding president of the West Tennessee Kappa Kappa Gamma Alumnae Association. Paris is married to her high school sweetheart, Pete Paris, and has two children ages one and four. When she’s not working, she enjoys photography, DIY projects and party planning. To learn more about Paris Creative or to contact them for a consultation.